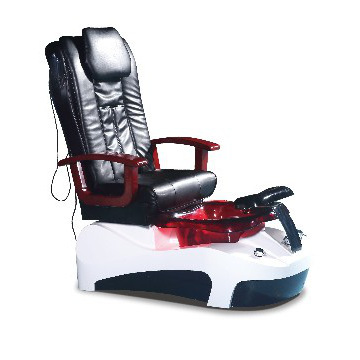 FOB PriceUSD 900.0-1400.0/Set Get Latest Price ModelC109-51 Certification CE Certification, ROHS Approved CapableUL Min.Order2 Brief Descriptionhot sale pedicure massage chair1.Resistant PU leather;2.Shiatsu Massage Function;3.Fiberglass base;4.LCD Remote Control. 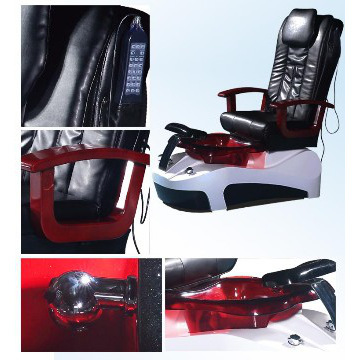 Foot chair with a back massage, seat massage, foot massage function. Manicure while listening to music, relax the mind and promote blood circulation. The pedicure spa chair part of the chair Description. Pipe-less Whirlpool: 100~240VAC, 80~100W, 50/60Hz. 3. Logo can be added. 4.Offer 3% accessories of order quantity. 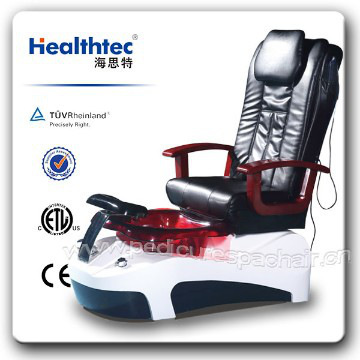 Located in Foshan, Guangdong, our company is a professional manufacturer of Massage Pedicure Spa Chairs and Salon Furniture. We have 5 years of experience in spa chair and have a good reputation in this field. For supporting long-term cooperation with our customers, we can offer O/A payment term. Your Success, Our Glory: Our aim is to help customers realize their goals. The principle is to use massage chair mechanical rolling force and mechanical force squeezing massage, manual massage can clear the meridians, so that blood circulation, keeping the body's yin and yang balance, so the massage can feel the muscles relax, joint flexibility, so that uplifting, eliminating fatigue, has an important role to ensure good health. Normal subjects, the manual massage can enhance the body's natural resistance to disease, access to health effects. A professional, energetic, enthusiastic and outgoing team , is always ready servicing for you! A: T/T, Western Union, Alibaba Escrow, MoneyGram, Paypal. Unit CBM: 0.85~ 1.5 M3, Weight: 55~ 85 KG according to different model. Q:What is the HS code for pedicure chair? A:First, we will offer spare consumable accessories and parts in 3% of your order quantity, such as remote control, PCB etc. Second, during our guarantee period(one year), we offer any replacement accessories and parts for free when you offered damage proof which isn’t caused. Third, We have our own R&D department with our professional suggestions and repair manual through whole life of product using. Q:Do you sell any other beauty salon furniture? A:Yes, we offer many kinds of other salon furnitures, pls send product photos and the items you need to us, then we make the best offer for you. 1.Delivery time:25~35 days;2. Wooden frame can be made;3.Door to door is allowed.